Polka's hand-sewn bunting is perfect for any child's room or even a special occasion. 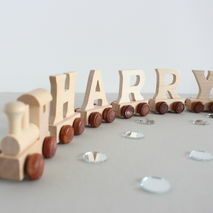 Just pick out the letters you would like and write any name such as, Evie's Room or Happy Birthday! Emma will carefully pick out the letters you request and thread them together with pretty ribbons. 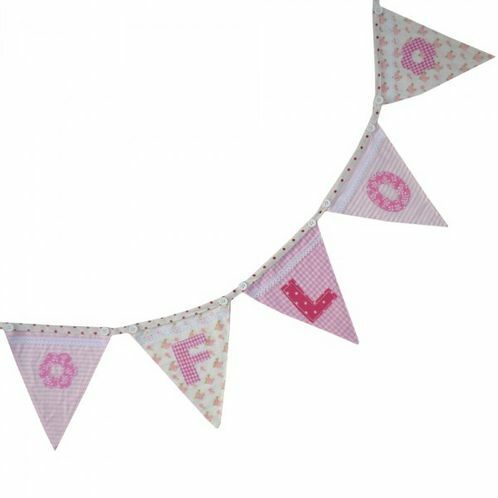 Your bunting will be slightly different from those pictured as the flags are lovingly handmade from a patchwork of fabric. Available in 2 colourways: Pastel tones or Brighter tones. Item priced per letter, please enter number of letters required in quantity.